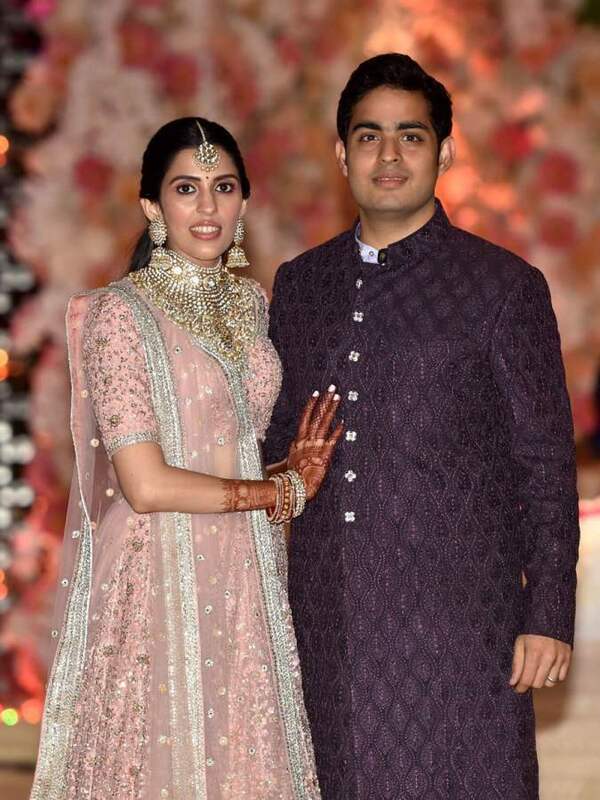 And yet again many stars were seen together at Akash Ambani and Shloka Mehta’s Wedding and reception on March 9, 2019, at grand Jio Garden in Mumbai. And we have to say, it was a classy affair. All the celebs were seen all hecked up for the post-wedding celebration of Akash Ambani, beloved son of Mukesh Ambani and Nita Ambani. And as usual the star-studded reception was indeed splendid. Take a look at the beautiful couple. Celebrities like Deepika Padukone, Aishwarya Rai, Priyanka Chopra, Amitabh Bachchan, Rajnikanth, Amir Khan, Shar Rukh Khan and who wasn’t there. Even CEO of Google, Sunder Pichai was present in the wedding. International sensations like Maroon 5, Coldplay and The Chainsmokers were also the part of the lavish wedding. B-town stars too, performed for the bride and groom at their pre-wedding functions. Mouni Roy was also one of them who had to perform in the wedding. However, according to the reports, Mouni wasn’t able to cooperate with the security guards at the wedding because they asked to get her phone sealed. As per the instructions by the Ambanis, all the guests had to get their phones sealed before entering the venue but Mouni didn’t like this request and refused to do so. As per the source, “Mouni was not at all comfortable with her phone being locked, but the condition was applicable to all the guests at the party and hence she had to agree to it.” Finally, she gave up but on entering the green room before her performance, she tried to remove the sticker from her phone. When security guards intervened and asked her to put it back on, Mouni lost her cool and started arguing with the security personnel.